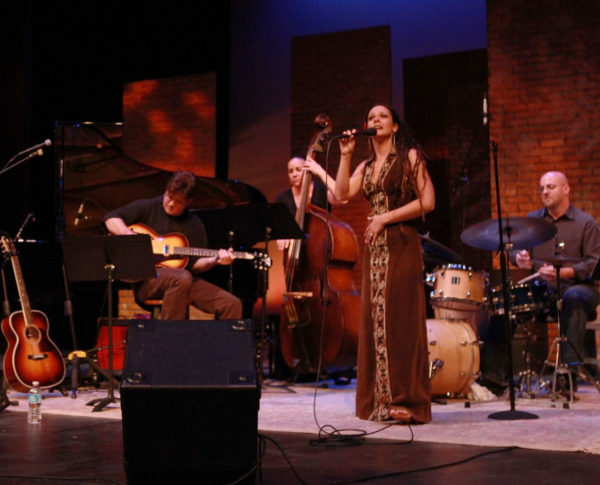 Jazz Pensacola is excited to present Annie Sellick & Chris Walters Big Time Band. Be sure to save the date for Monday, November 12th. The performance will be from 6:30 to 9:00 p.m. with doors opening at 5:30 p.m. The venue for this event is Phineas Phogg’s, Seville Quarter,130 E. Government St. Critics call Nashville’s Annie Sellick an exceptional “original.” “As a unique, musical personality, Sellick, who has performed around the globe, concentrates on standards known and lesser known, finding the gold in each,” says Don Heckman of the LA Times. ”She sings everything with an ineffable perky enthusiasm,” he says. “Sellick is very much a jazz singer who focuses on the music, but she also is a storyteller, and her rendition of emotionally complex songs is masterful,” says critic, Roger Crane, of the LA Jazz Scene. Joining Sellick on stage will be Chris Walters — a New Orleans-born pianist/singer/composer. Today, Walters is an independent artist who resides in Nashville. He tours as music director/pianist for Sony Music Masterworks Recording Artist JD Souther, opening each show with a set of his own original music. He also tours as keyboardist with Little Flock Artist Peter Mayer, and with the Jeff Coffin Mu’tet. He’s performed with the Nashville Symphony Orchestra and recorded the soundtrack for a documentary film scored by Bela Fleck. All tickets are $25. Cash, credit cards and checks are accepted. Purchase tickets at the door, at Schmidt’s Music, 105 N. Palafox St., at Jazz Pensacola events or by calling Jazz Pensacola at 850-433-8382.